The building was built and used a gymnasium before becoming a cinema in 1909, when it was known as The New Picture Hall. After about two months the name was changed to The Winter Gardens opening 28th February 1910 showing a mixture of films and variety acts including dancers and comedians. 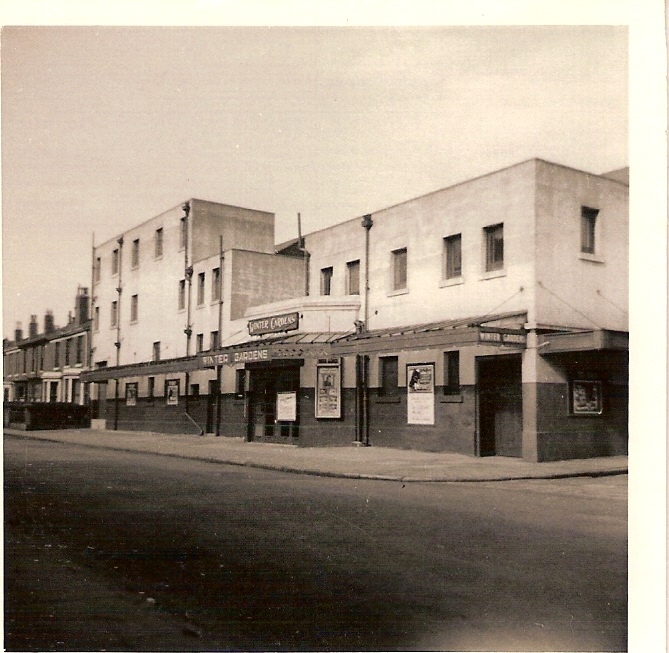 The cinema changed hands many times over the years and was refurbished and restructured on several occasions. In 1914 it came under new management again and was renamed to the Waterloo Play House showing mainly feature films and comedies. The last film to be shown under this name was the silent feature film ‘The Carnival of Truth.’ After this it was renamed The Winter Gardens again and changed to a live theatre as a new leasee and manager took over. 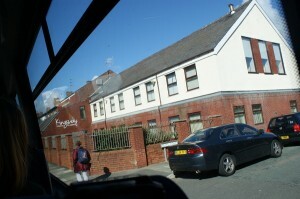 The building was drastically altered and seating increased from 450 to 650. It continued life as a live theatre for many years showing a variety of performances from comedies to Shakespeare. On December 26th 1931 the Winter Gardens reopened as a cinema, it lasted as a cinema for over 30 years supported by variety acts, music and live performances. 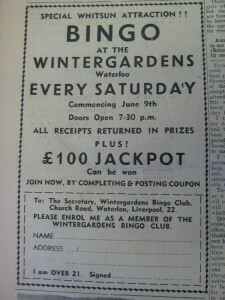 In its later years the Winter Garden’s was known as the place which would show ‘X’ rated films and memories have been shared about the cinema staff often turning a blind eye to the younger cinema patrons trying to watch these films. 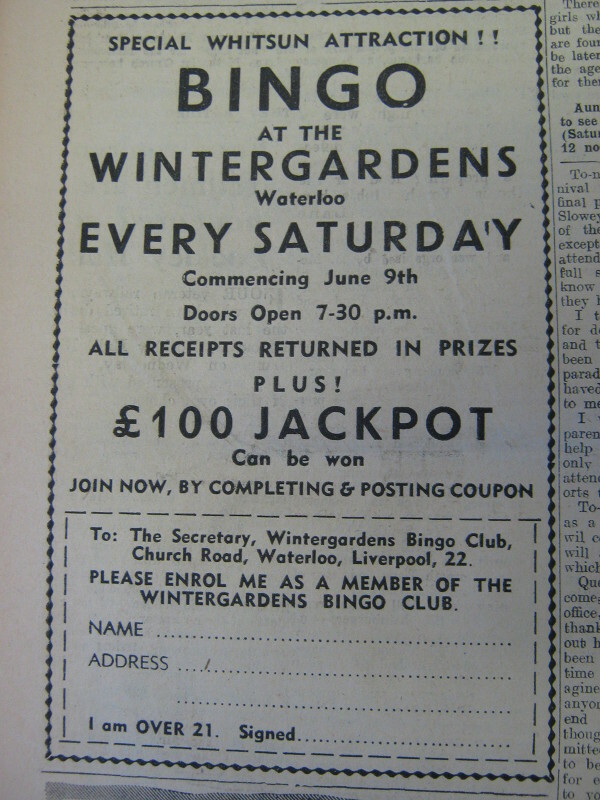 As with many other local cinemas in the late 1950′s and 60′s following increased ownership of televisions in the home and added choice of forms of entertainment, the Winter Gardens tried to introduce additional attractions to increase revenue to the cinema which including Dances and Bingo. 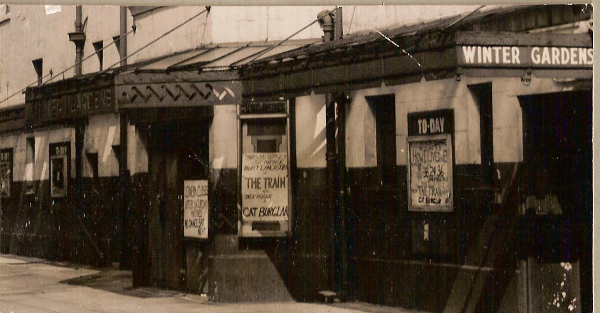 The last film shown at The Winter Gardens was ‘The Train’ starring Burt Lancaster on 4th September 1965. On the site now stands Kingsway Christian Centre.